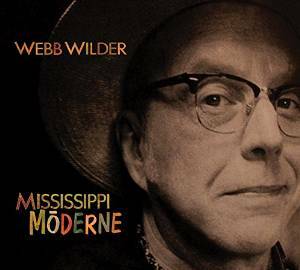 I just received the newest release, Mississippi Moderne, from Webb Wilder and it's super! Opening with a short intro, Stones In My Pathway, is a super heavy, swampy, bluesy track. If this was recorded in the early times of Son House or Lightnin' it would still sound gritty and super honest. Excellent! Rough and Tumble Guy is up next, a boogie woogie rocker with a great rhythm track. Wilder takes the lead on some rowdy guitar backed by Jimmy Lester on drums, Tom Comet rompin the bass and Bob Williams on guitar. Excellent! If It Ain't Broke, (Don't Fix It) has a much more rural and laid back feel but with just a touch of funk...boogie if you will. 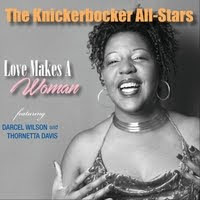 Backing vocals by the McCrary Sisters, Williams and Comet give it a homey feel but Wilder's vocals keep it edgy. Very nice! Only A Fool has a euro pop sound with an easy hook. Not the voice but the style, think the kinks, Todd or E. Costello. The Kinks, I Gotta Move, maintains a real 60's rock sound but with a separate signature from the original. This is a quick paced rocker with wicked guitar rock and a straight ahead drumming. Too Much Sugar For A Nickel is a great pop rocker. If I just heard the track out of context and was asked who wrote it I'd Guess Frank Black...or is that Black Francis (Or Ray and Dave). In any case, I really like it. Very nice with clever guitar riffs surrounding a slick hook and a tight execution. Conway Twitty's Lonely Blue Boy is a super low slung blues rocker. Pushed with it's country honesty, and low keys but really nicely styled guitar riffs, this track is over the top. Mississippi garage band, The One Way Street penned, Yard Dog see's plenty of daylight here with solid delivery, raggedy vocals and tight drumming. Very smart! I'm Not Just Anybody's Fool is really a nice ballad. A strong melody, Micah Hulscher lays out warm organ backing and a melodic guitar work makes this one of the strongest statements on the release. Very nice! Otis Rush's It Takes Time, has a super walking bass line but uptempo from Rush's original. With an almost jazz feel, it has new life in it's sail. 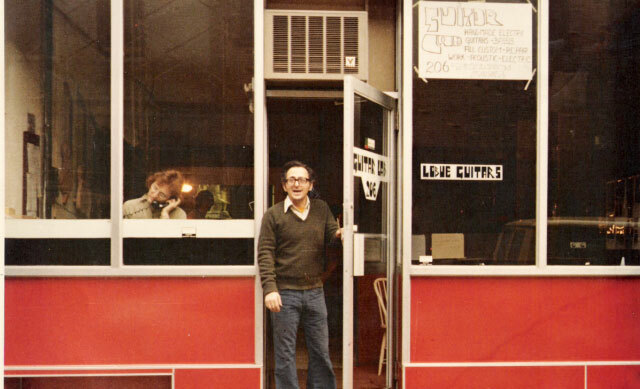 You've been waiting for me to say, and he cut's the guitar loose and here it is. Wilder doesn't go nuts but he does play some really crisp, Otis Rush/Peter Green inspired and nicely executed riffs. Super! Frankie Lee Sims' Lucy Mae Blues has a primitive feel but with some more modern sounds creating a eerie tension. Wilder's vocals in echo with basic jangly blues guitar riffs, hi hat and tamborine and snare make this stripped down blues rocker special! Charlie Rich's Who Will The Next Fool Be has an easy country swing feel. Wilder's vocals morph from track to track and continuously surprise me. In this case, rich not thin but an almost Willie Nelson feel. A super nice groove with Hulscher on piano and organ and cal and response guitar work compliments the vocal lead making it one of my favorites on the release. Jimmy Reed's I'm Gonna Get My Baby has a solid boogie feel with Bob Williams adding some slick slide work over a nice rhythm guitar and bass line from George Bradfute. Super groove. Wrapping the release is the return to the beginning and a full blown Stones In My Pathway. This is a powerful recording eliciting the gritty nature of original early blues musicians. 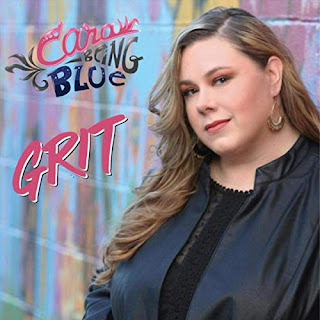 It is an excellent conclusion to a strong release of blues based music.